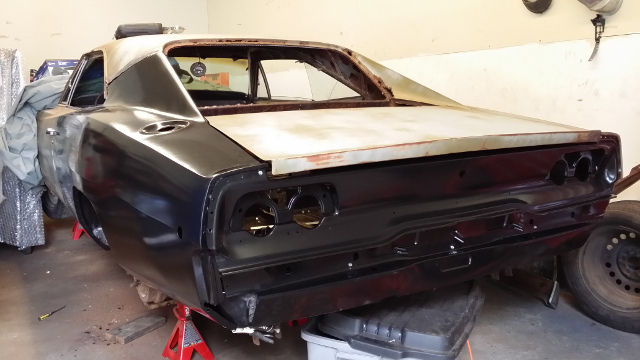 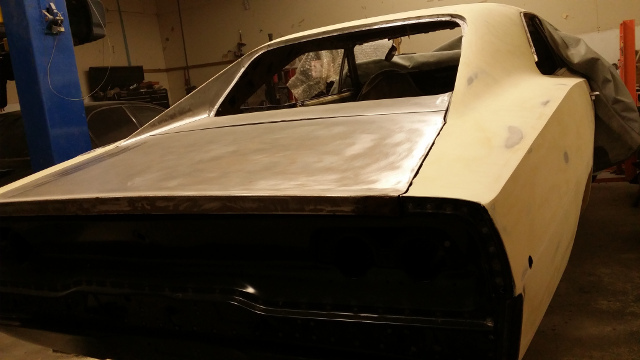 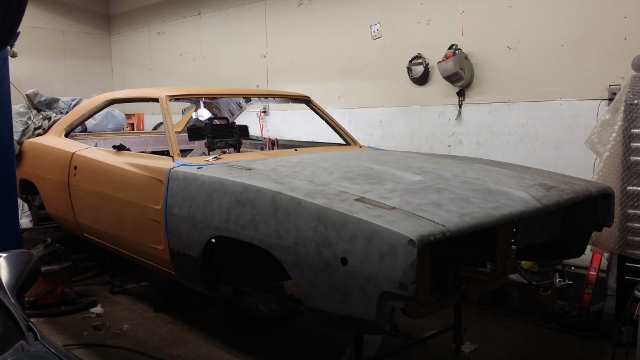 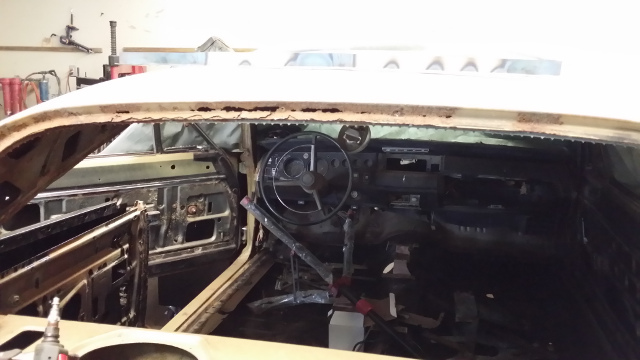 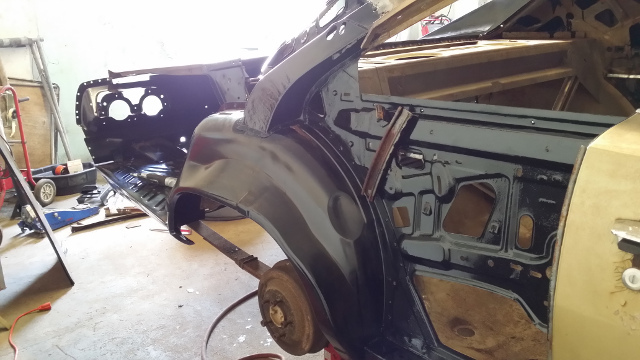 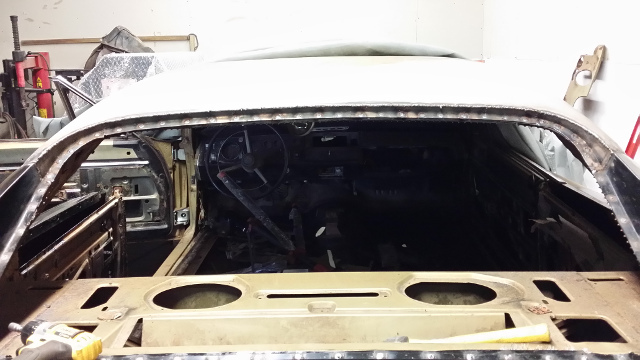 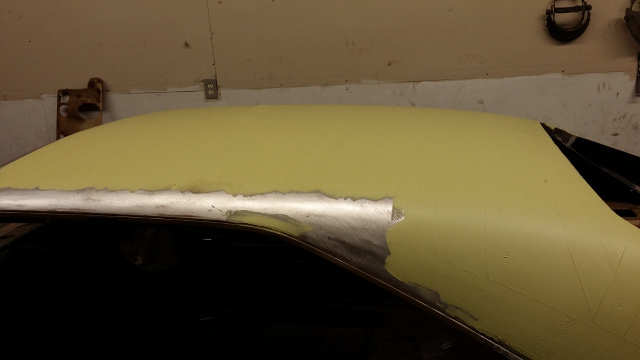 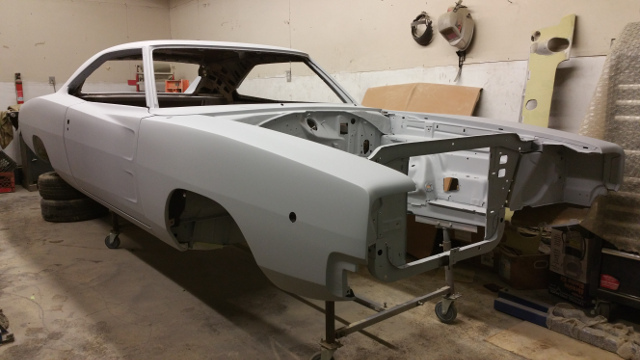 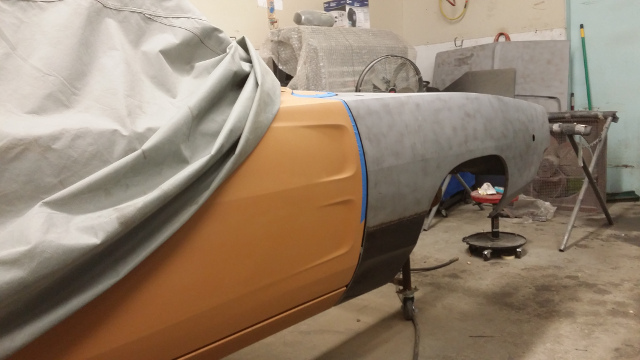 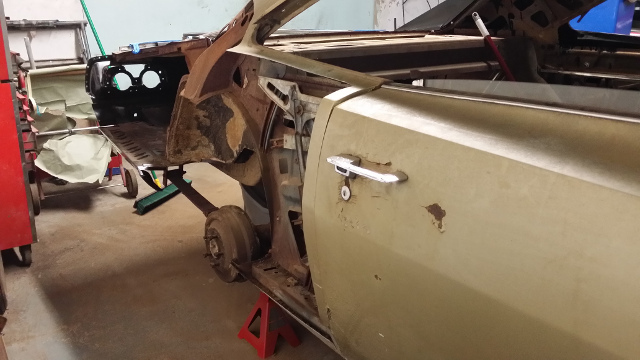 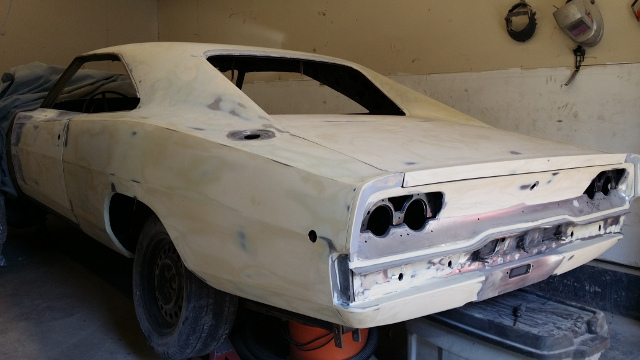 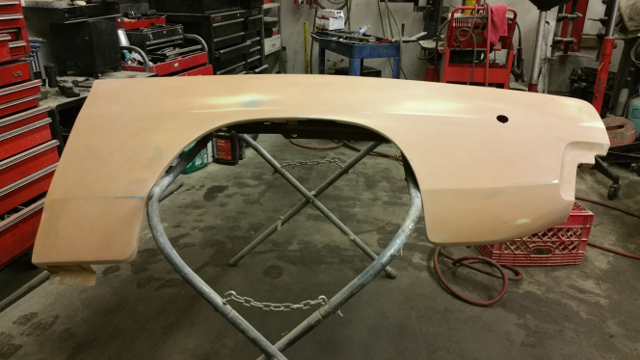 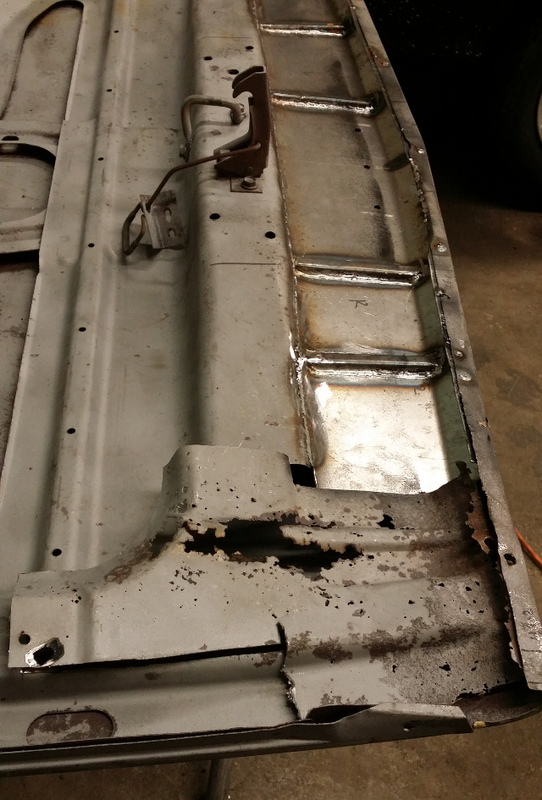 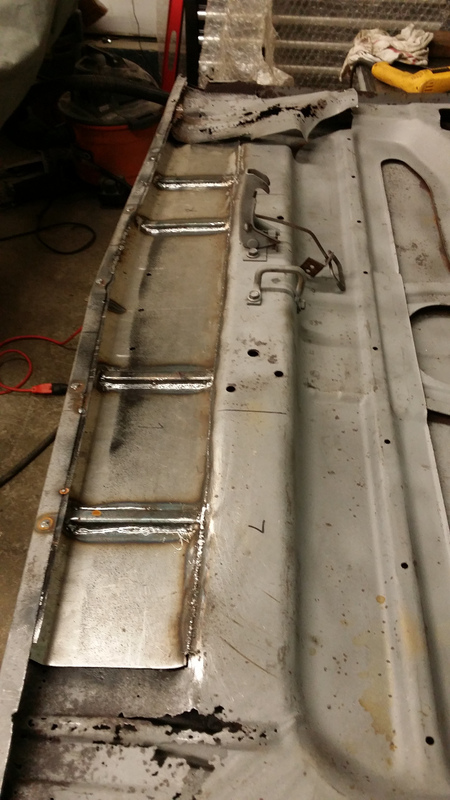 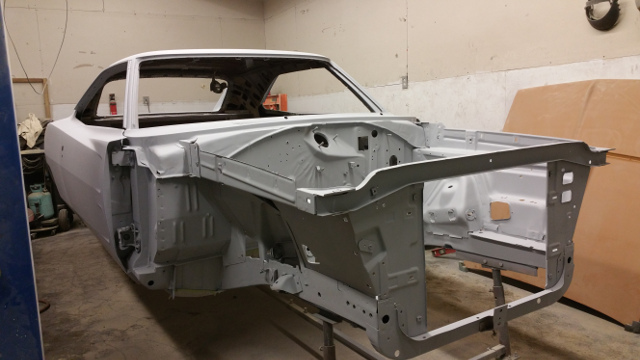 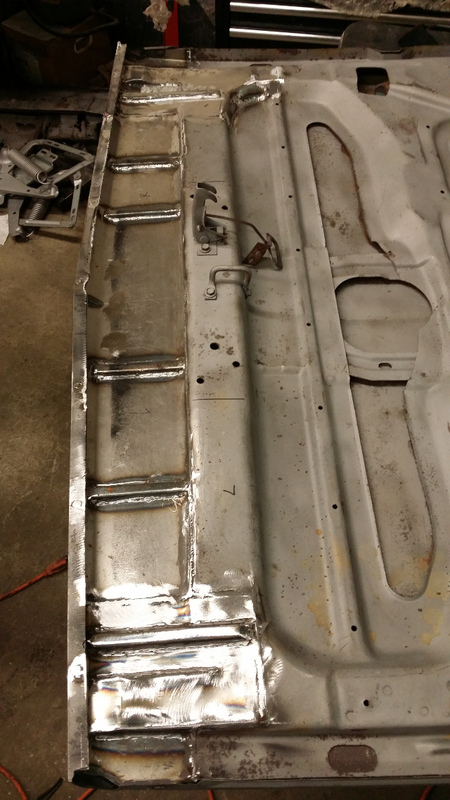 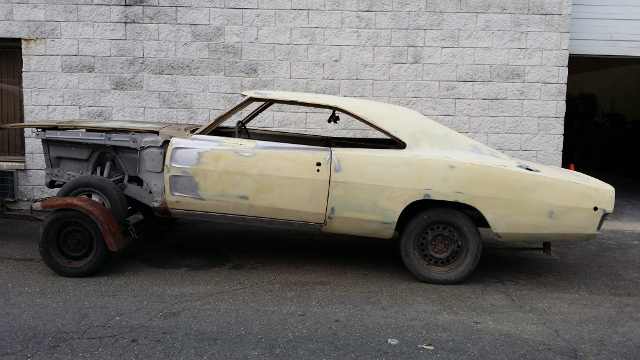 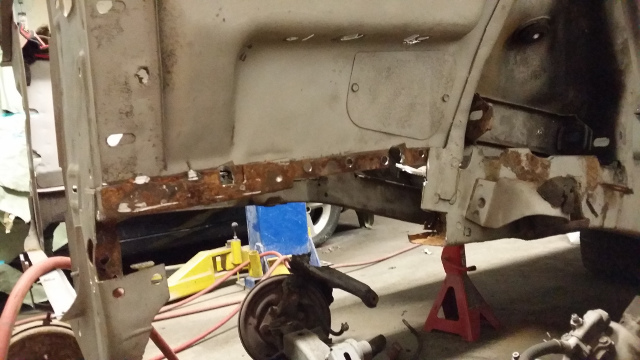 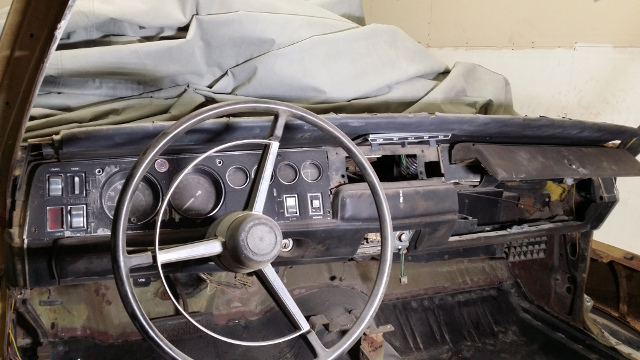 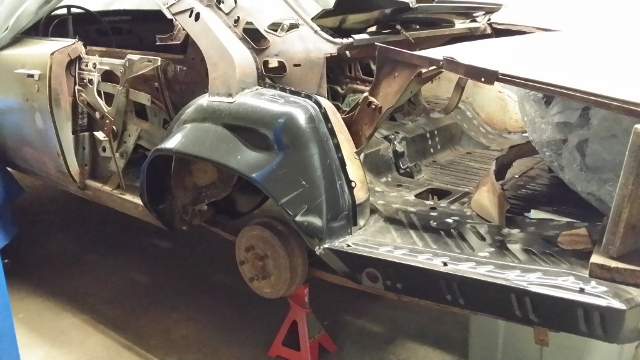 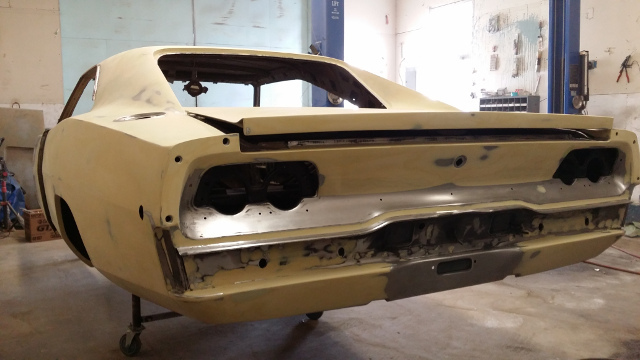 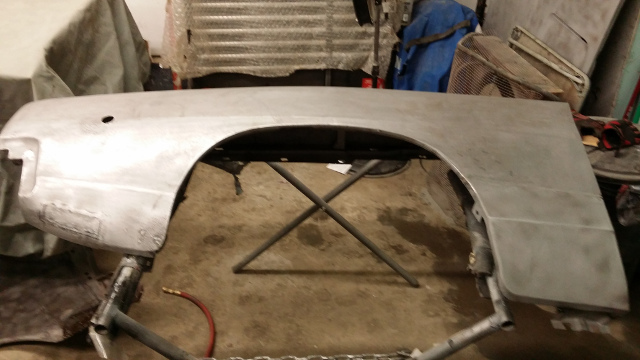 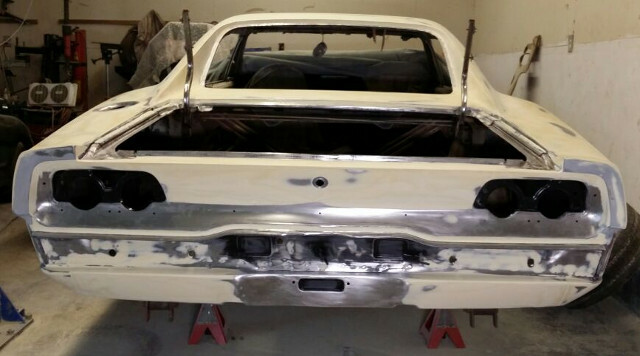 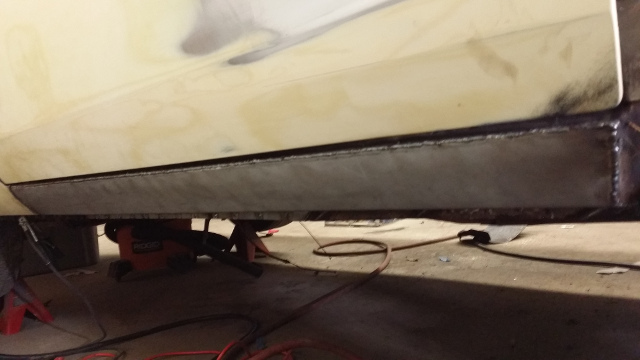 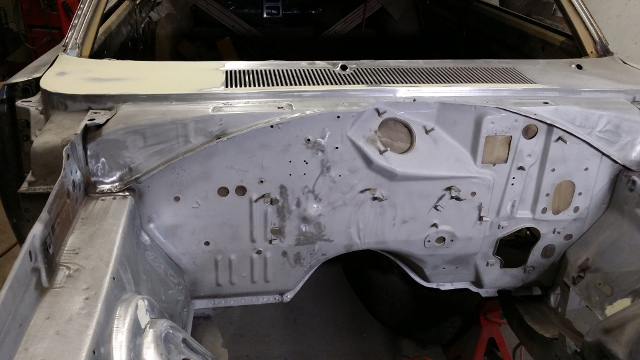 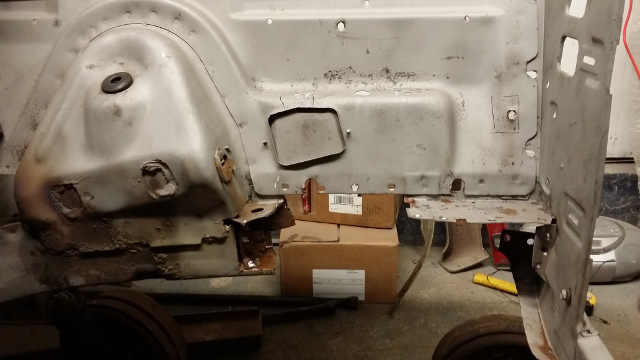 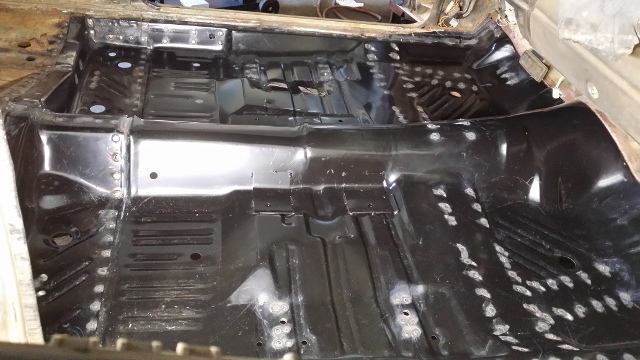 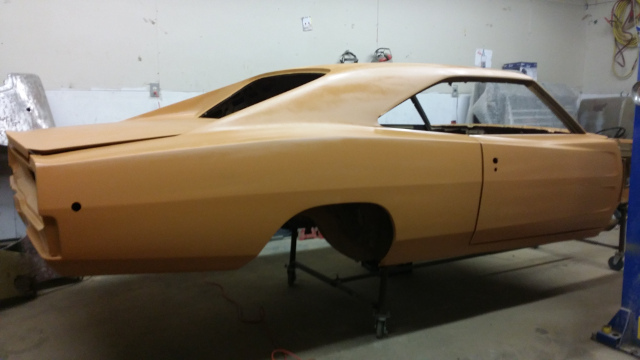 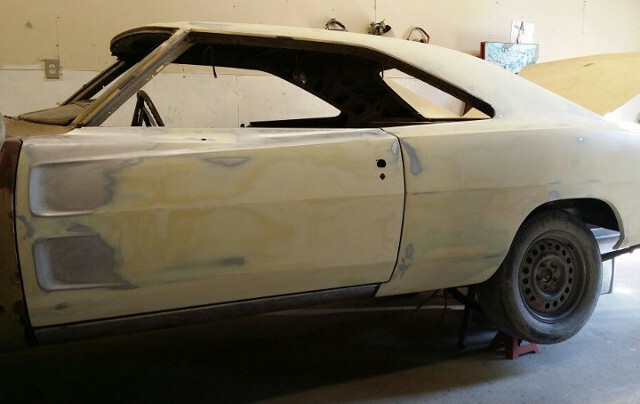 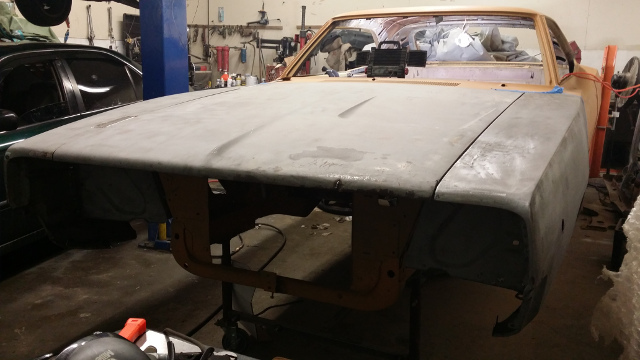 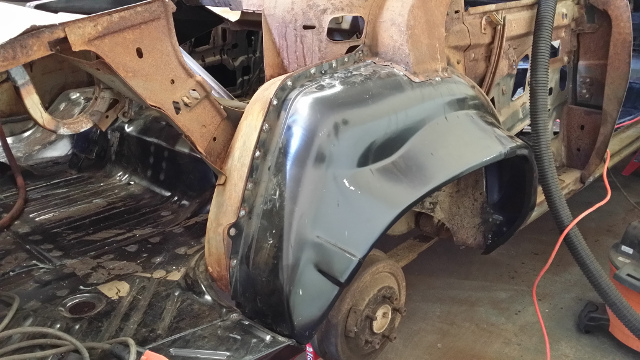 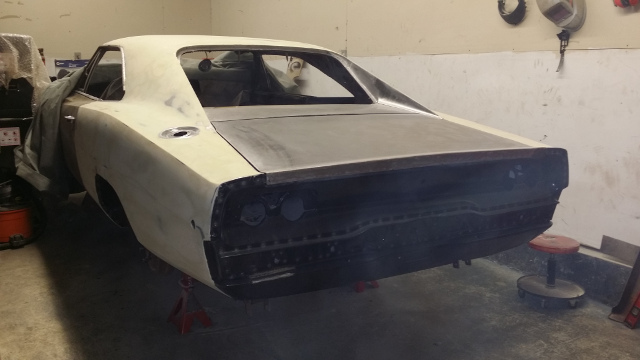 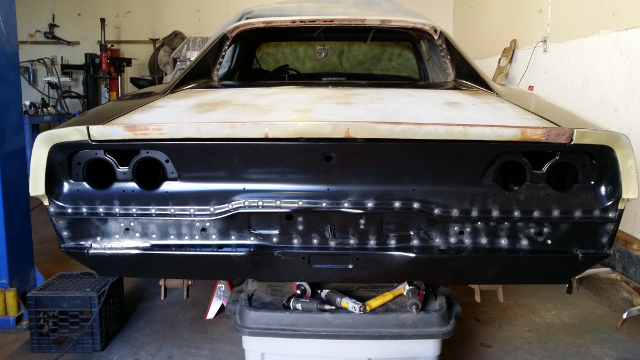 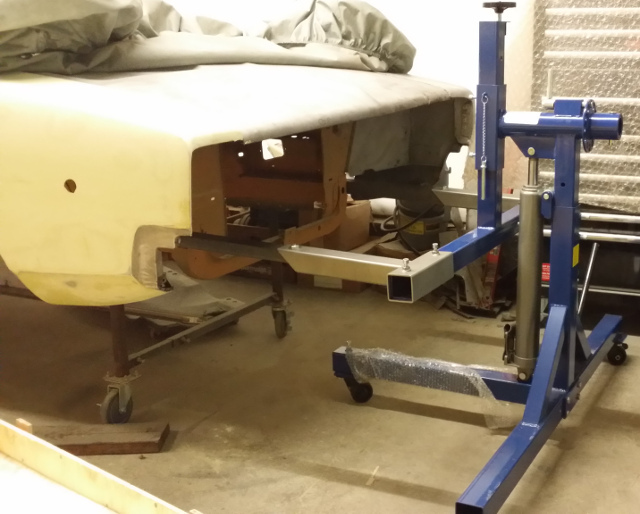 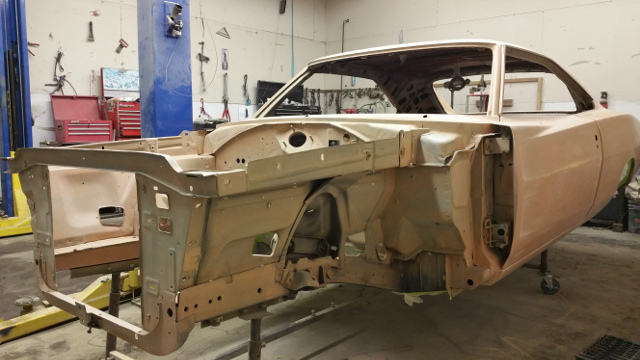 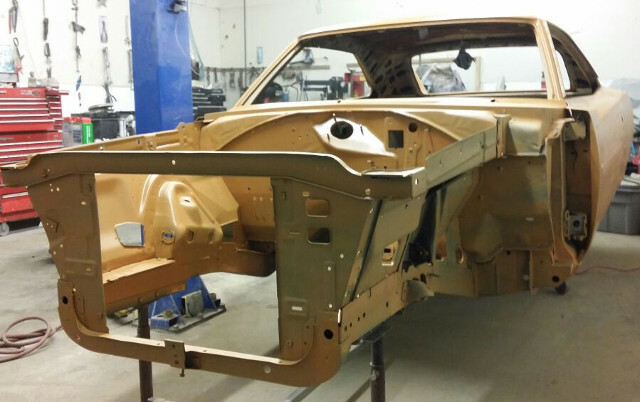 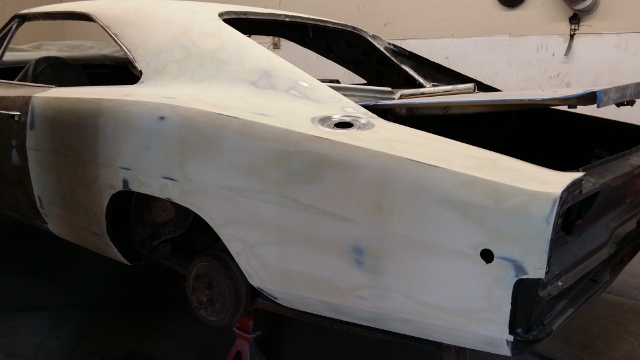 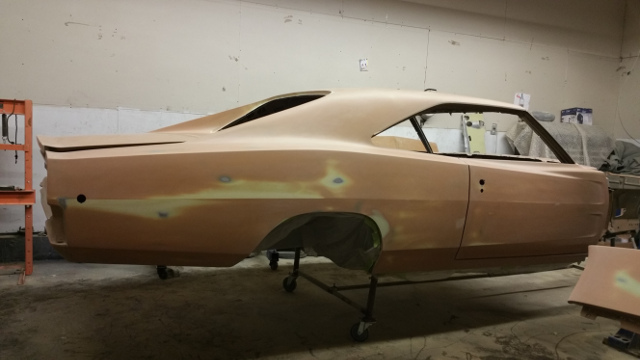 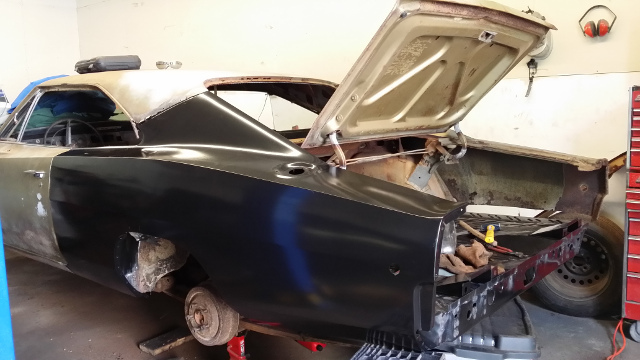 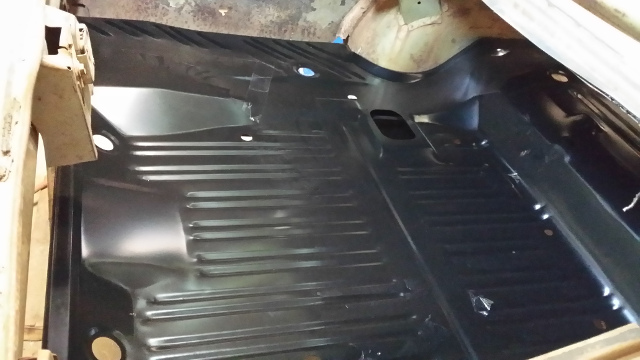 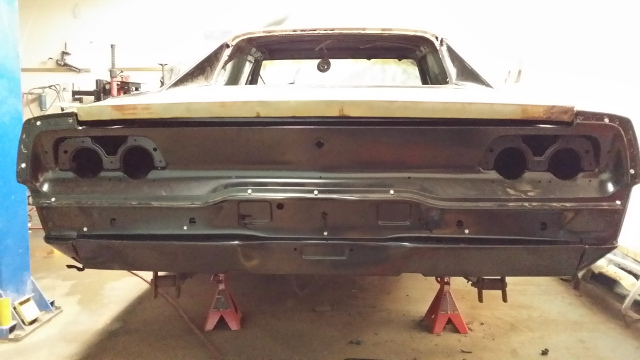 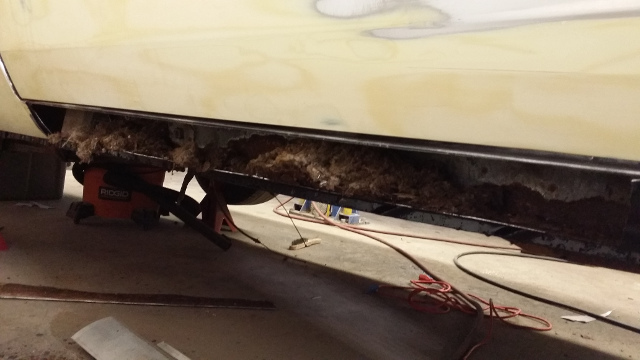 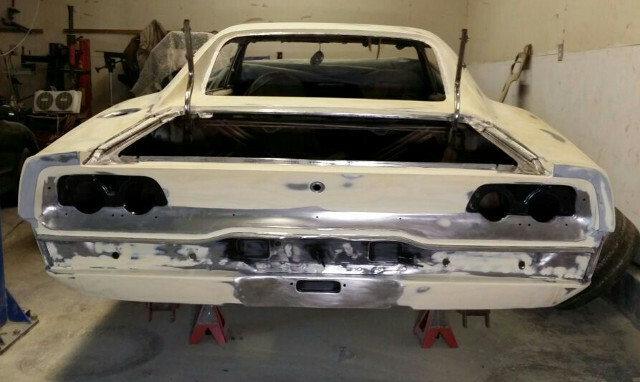 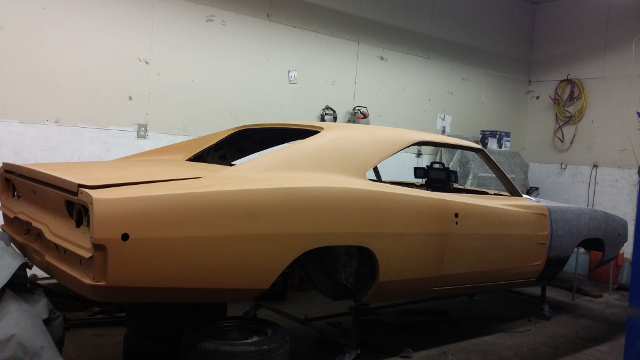 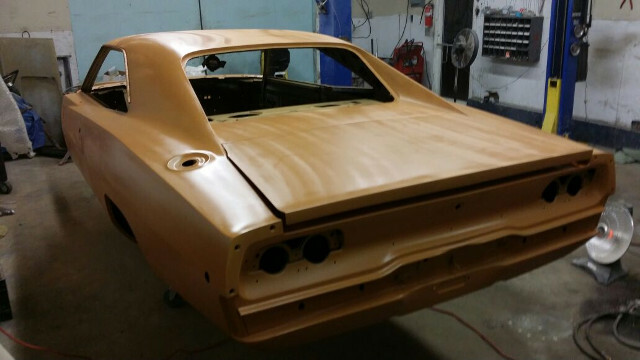 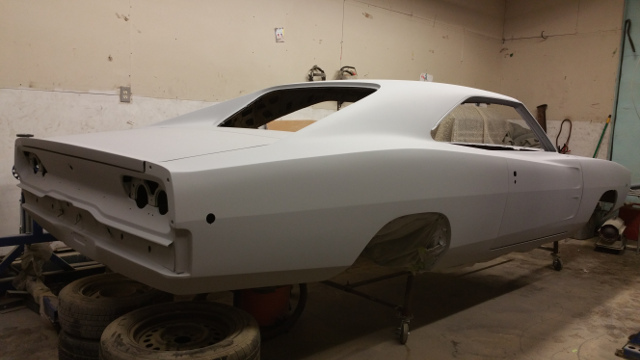 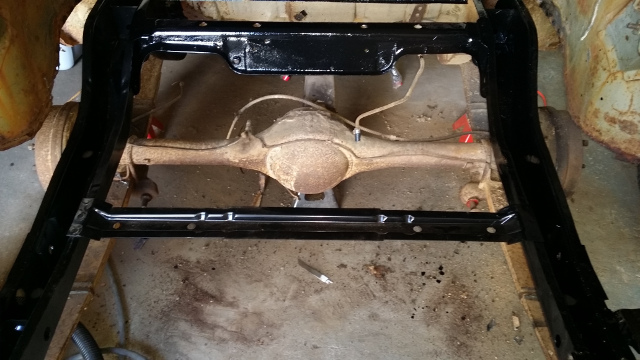 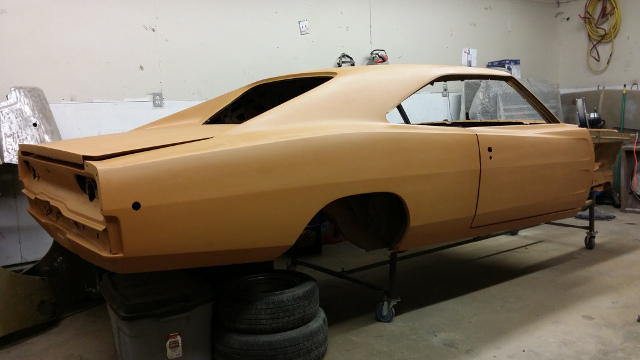 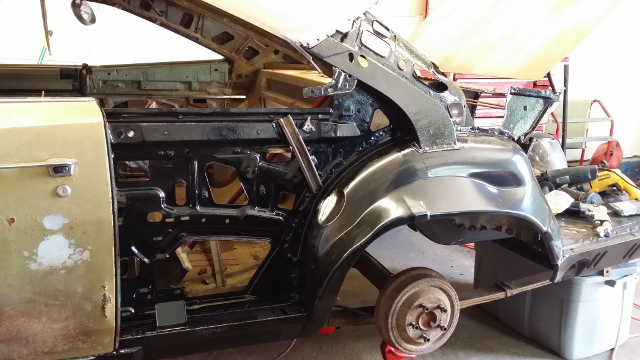 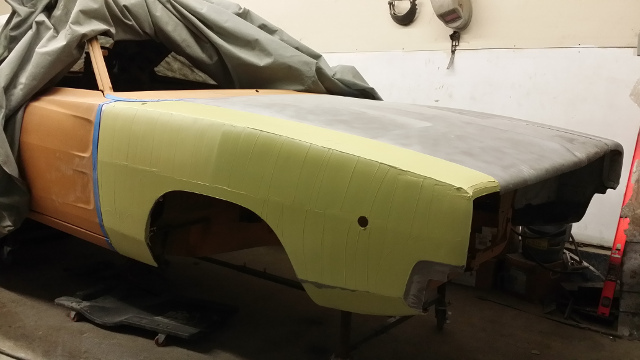 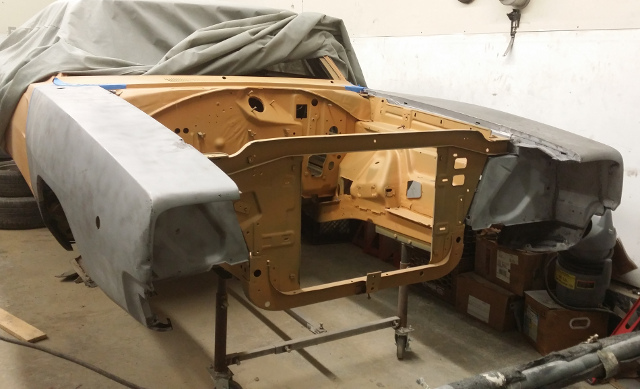 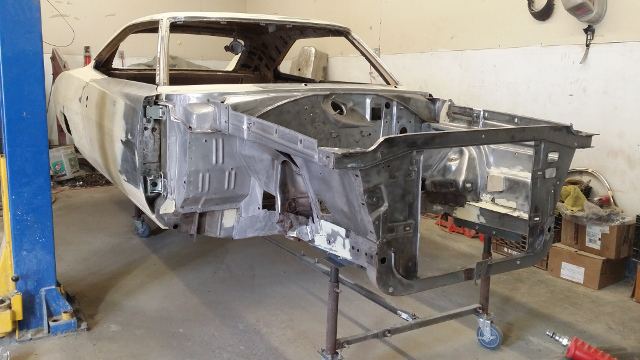 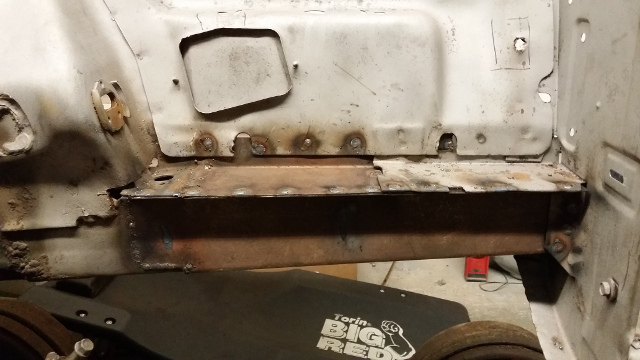 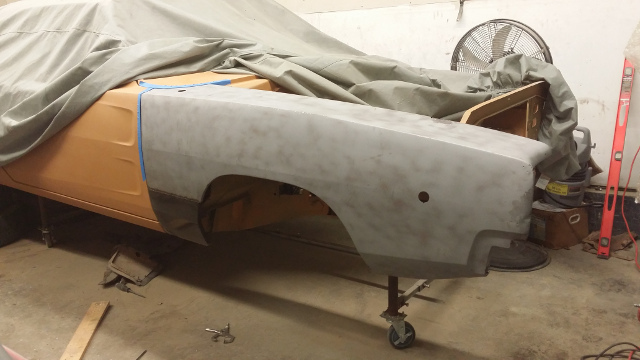 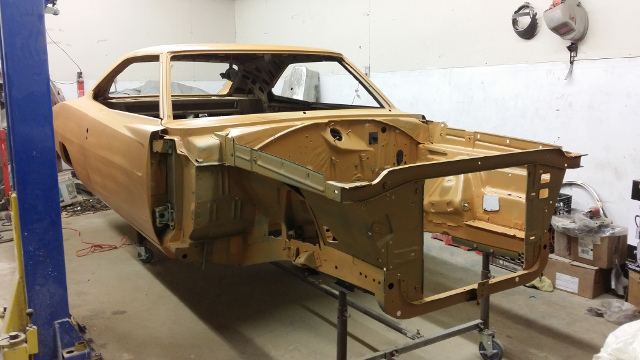 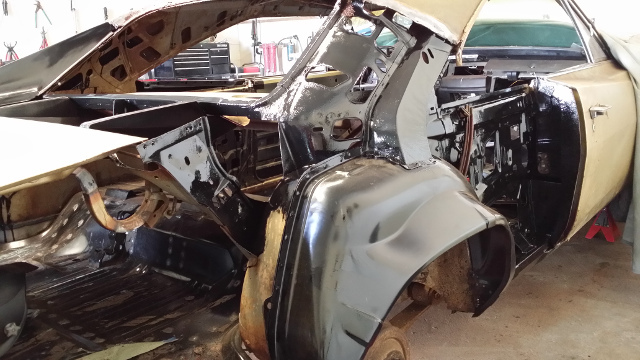 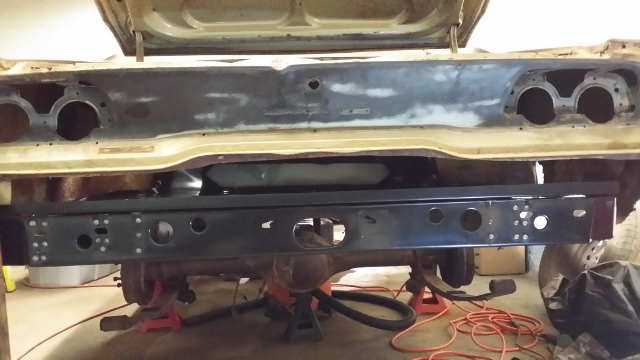 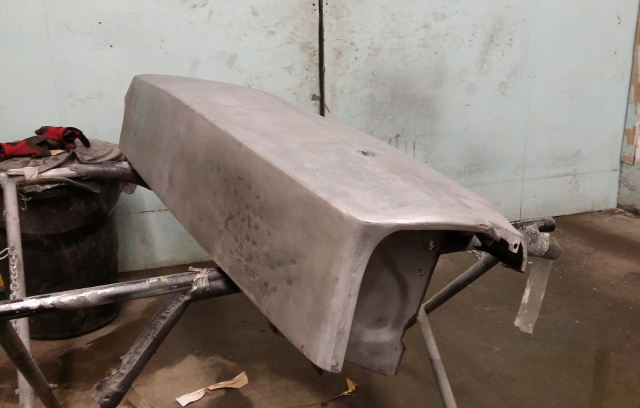 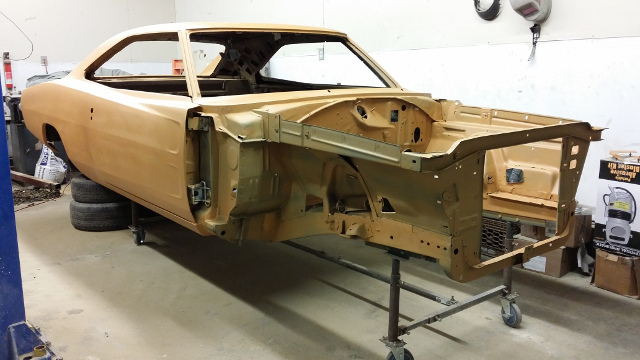 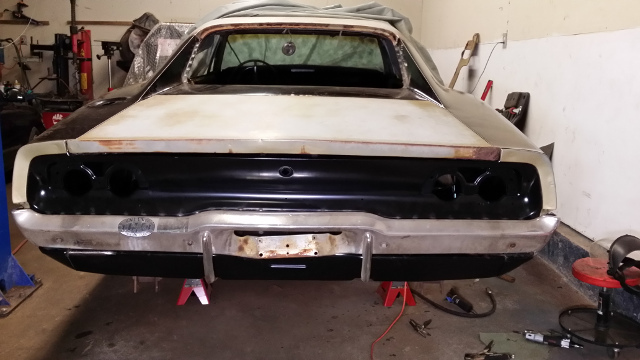 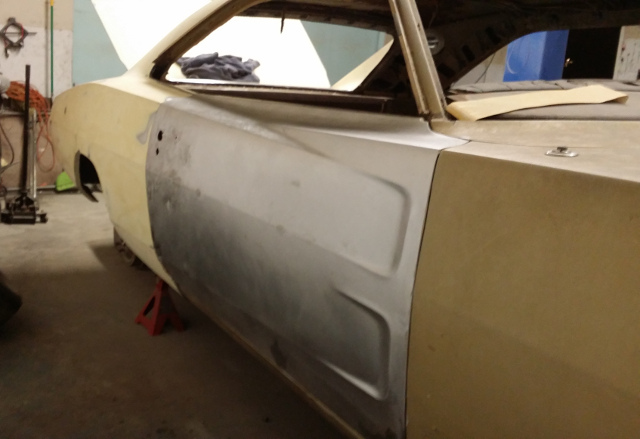 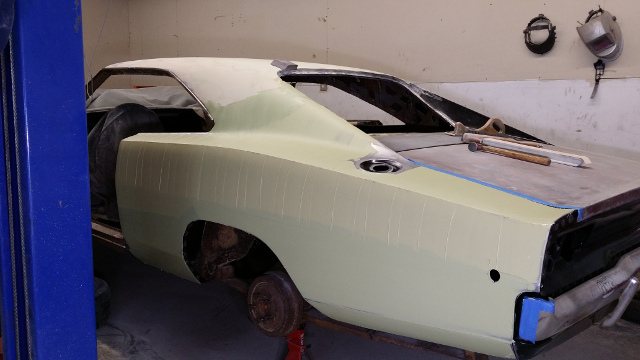 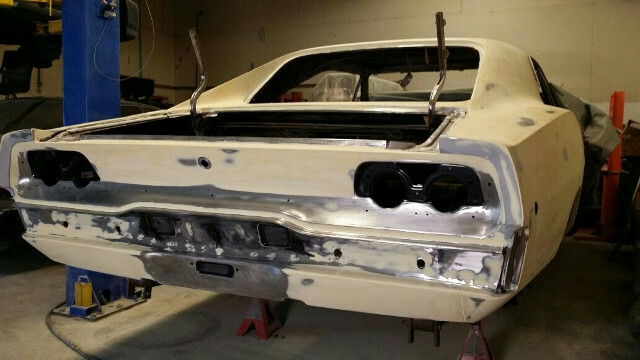 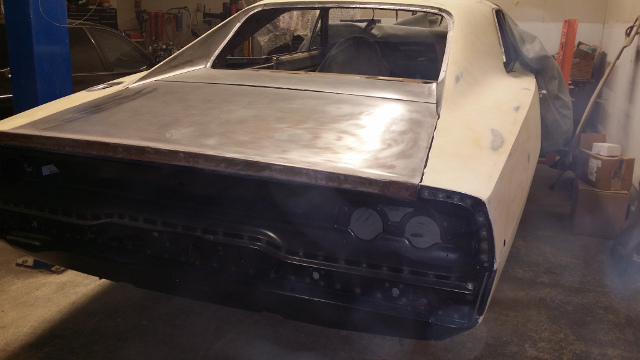 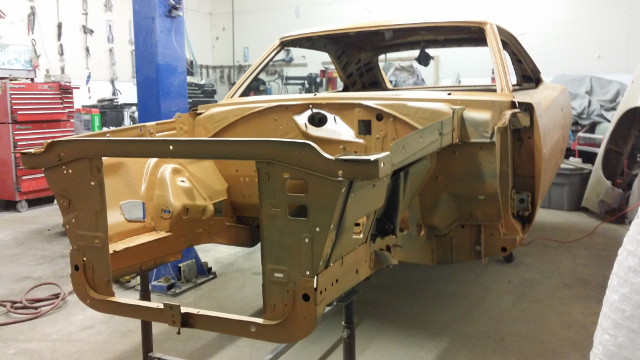 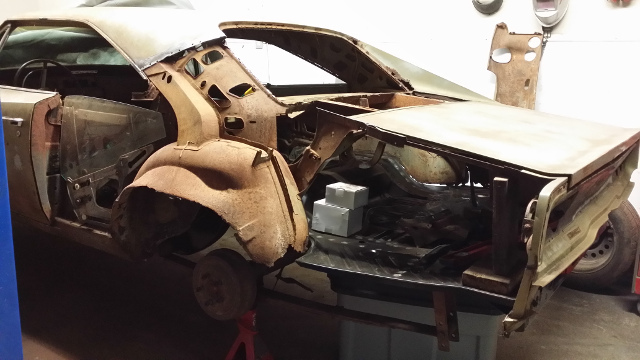 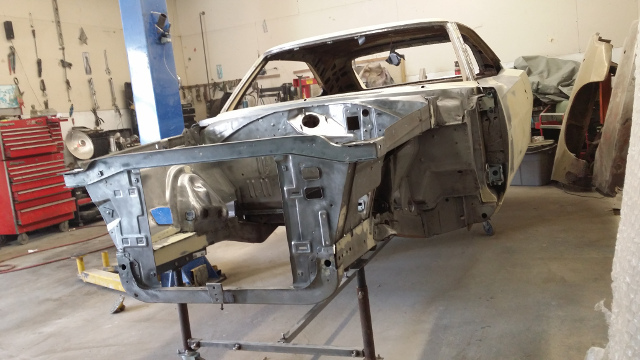 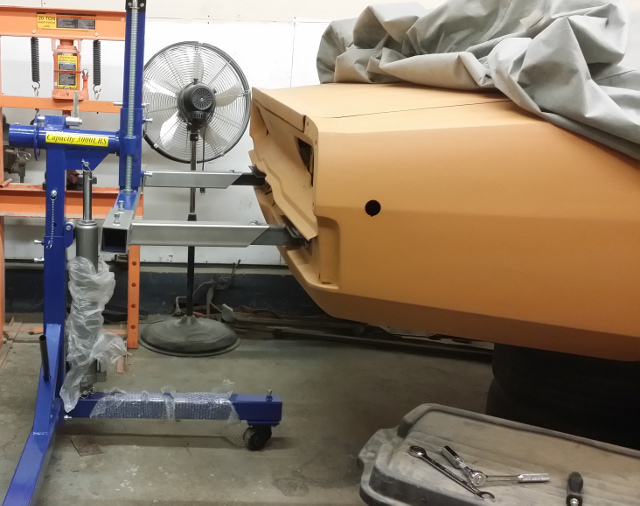 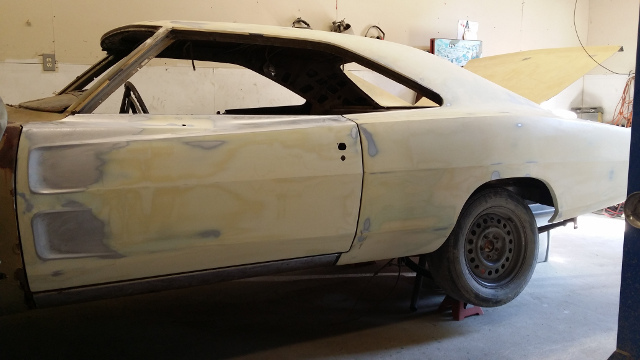 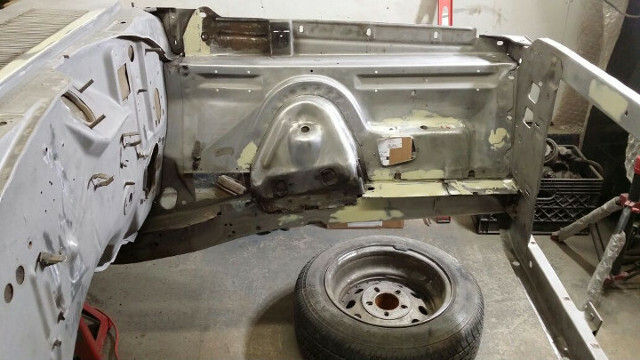 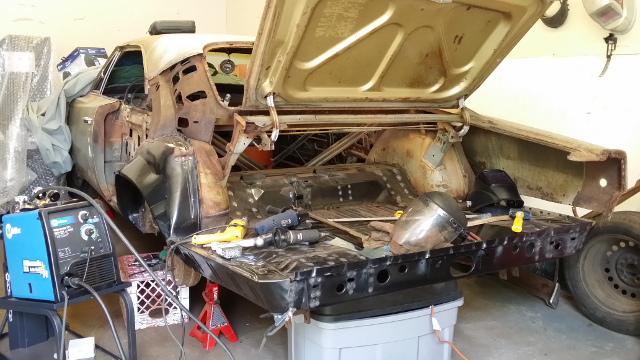 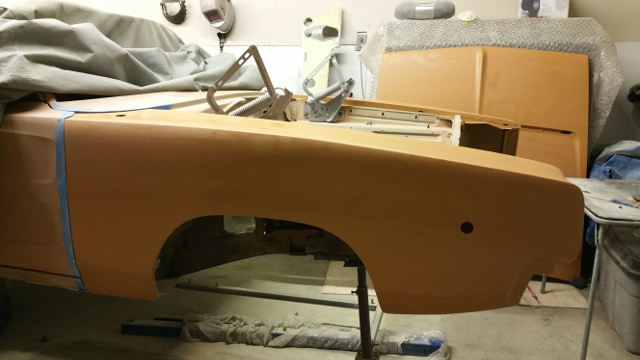 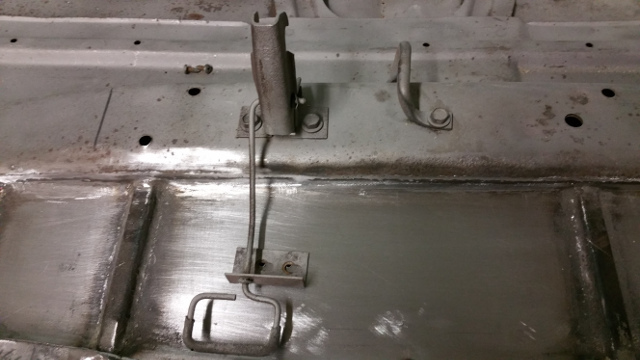 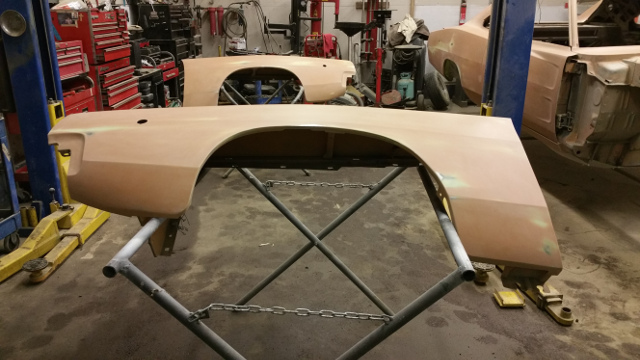 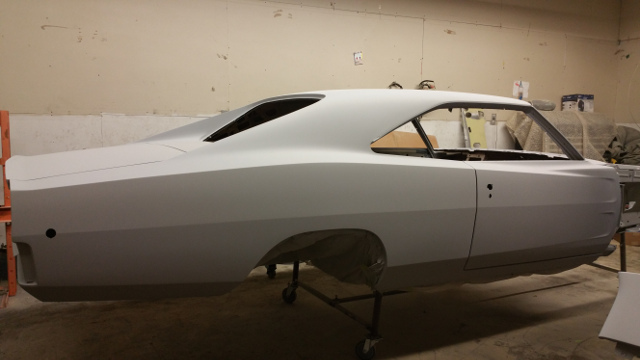 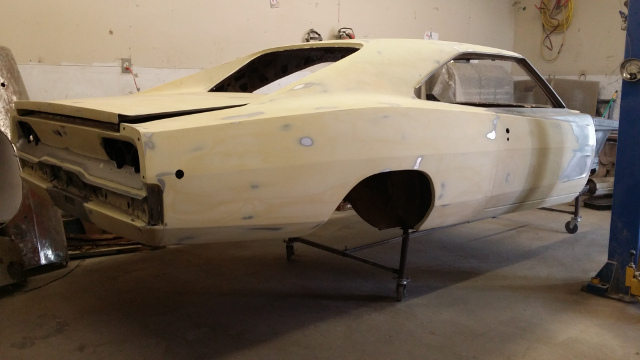 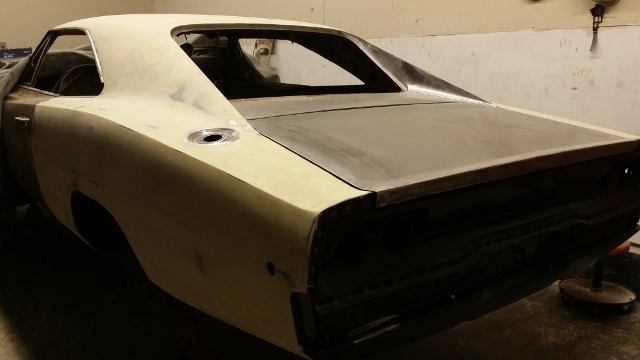 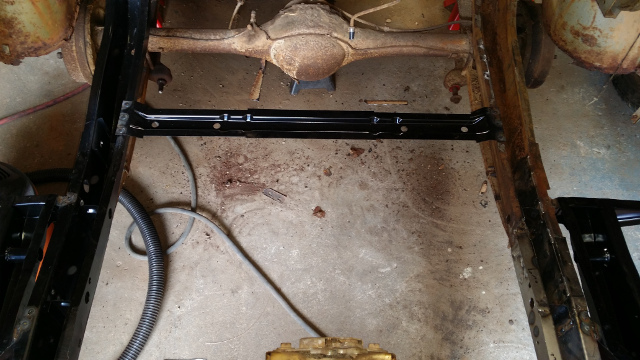 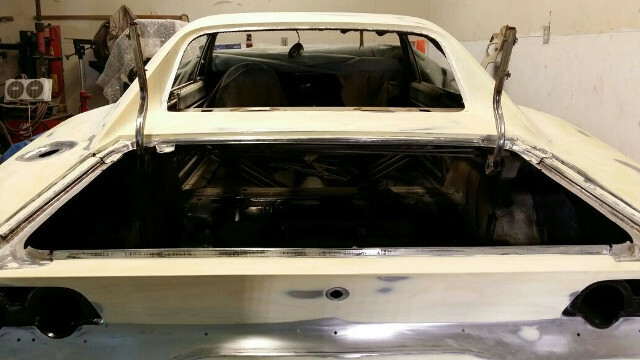 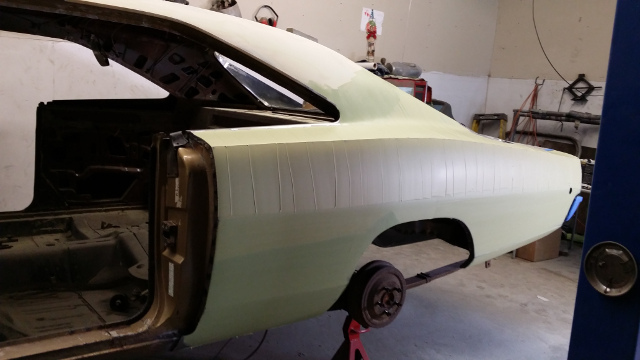 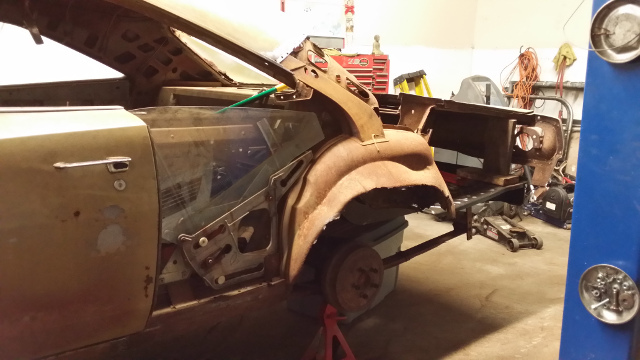 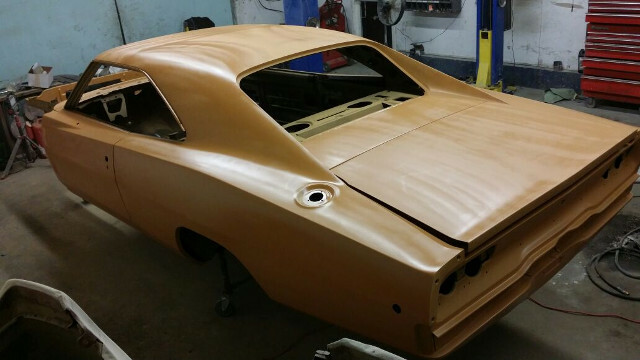 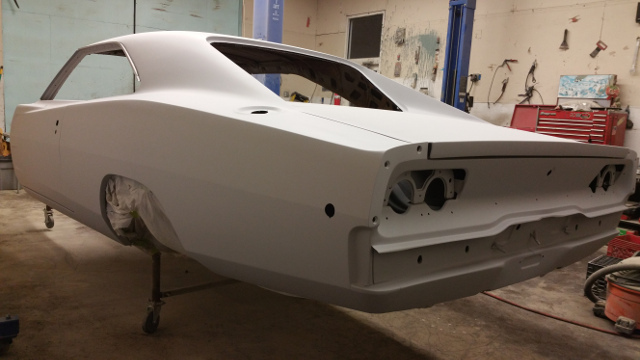 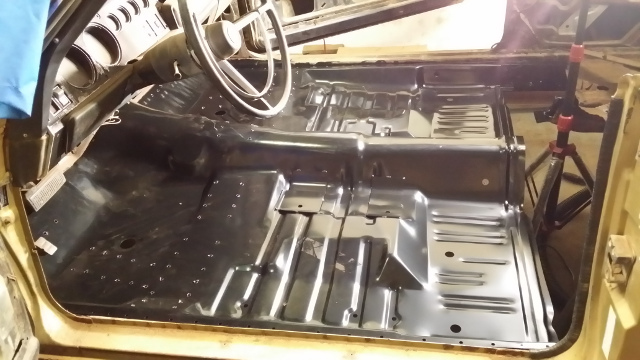 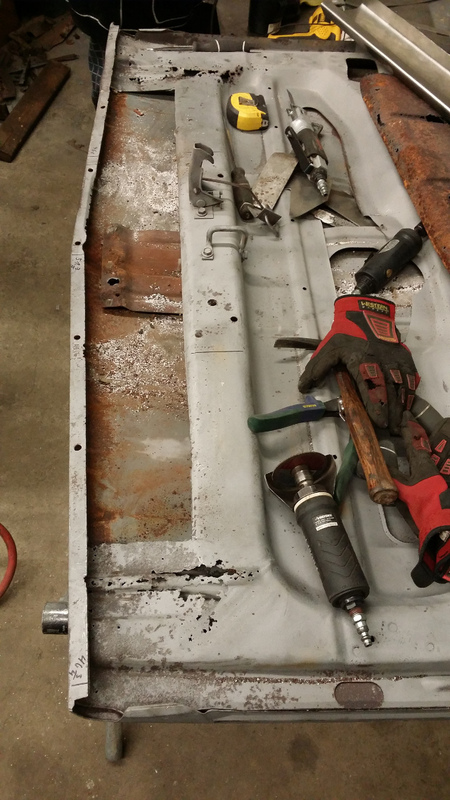 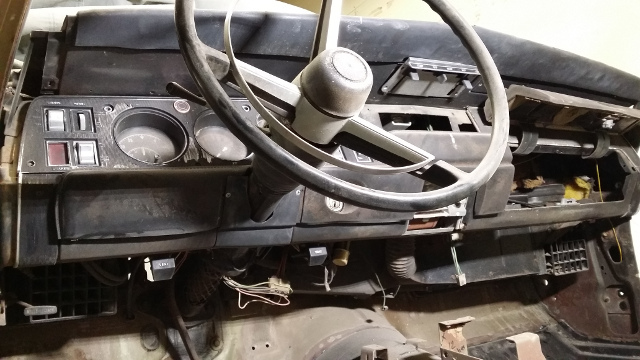 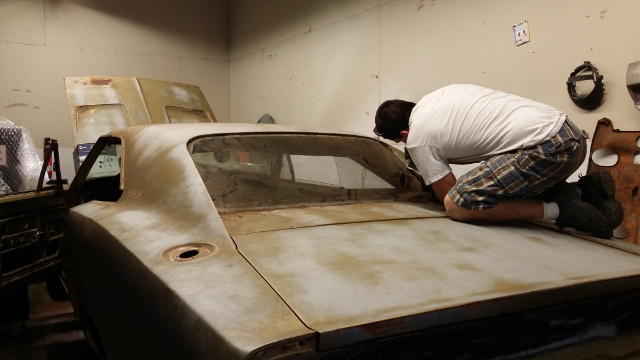 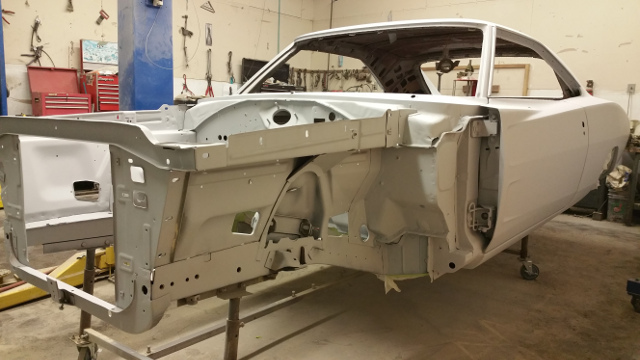 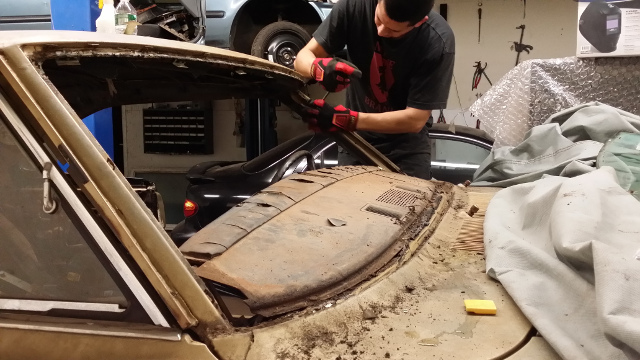 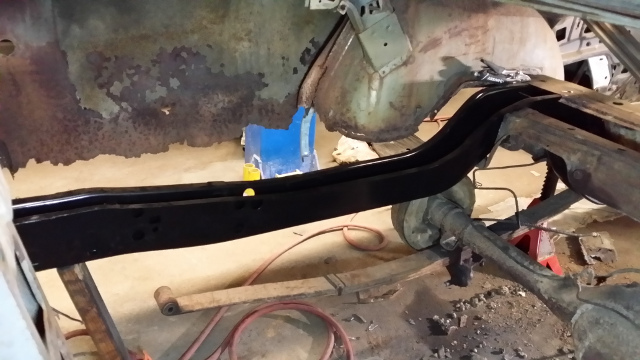 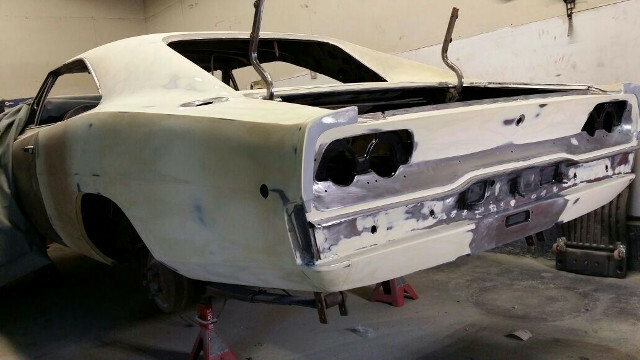 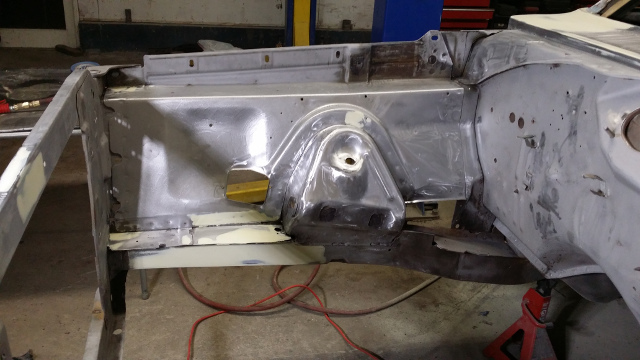 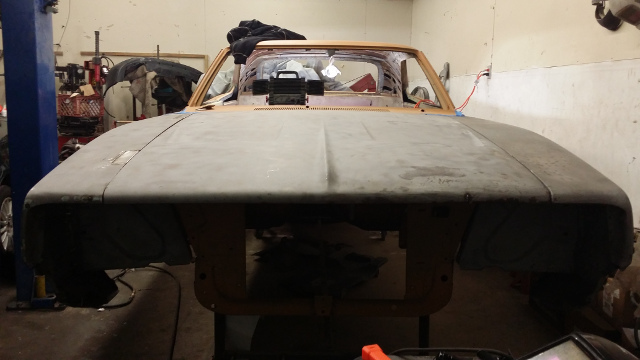 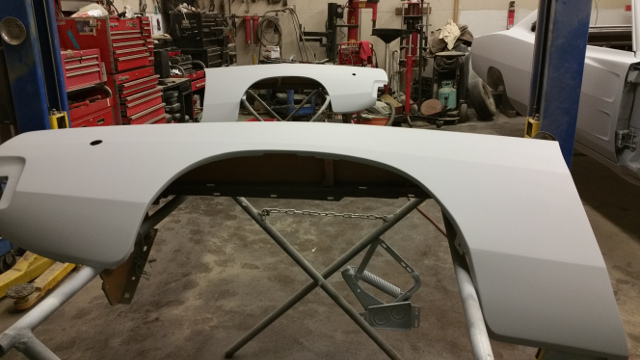 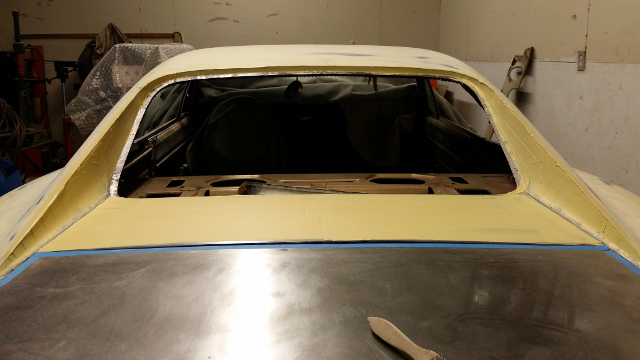 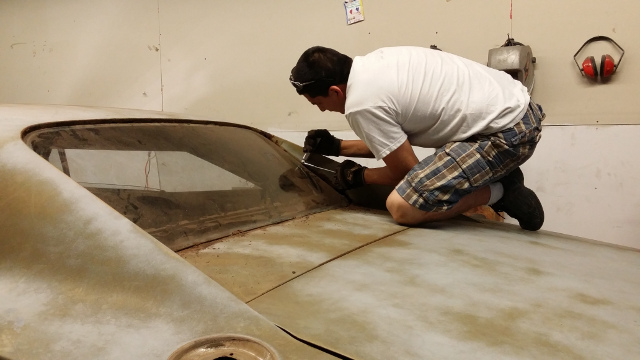 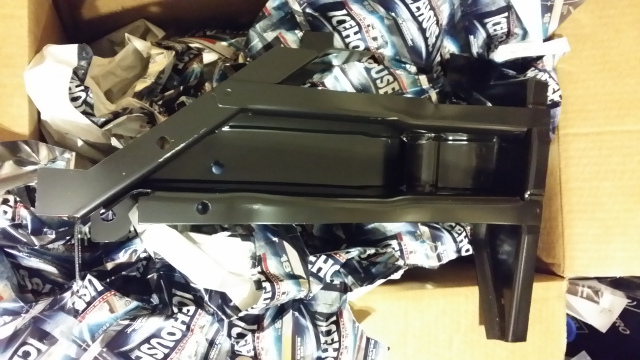 Our objective was to restore the Charger’s structural integrity while preserving the car’s original appearance. 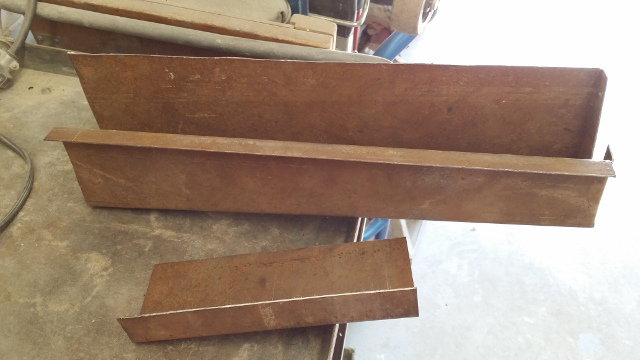 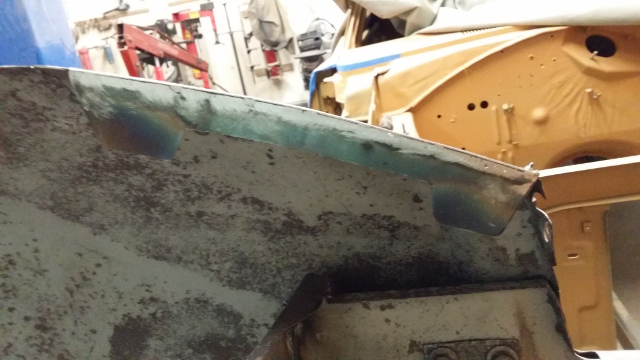 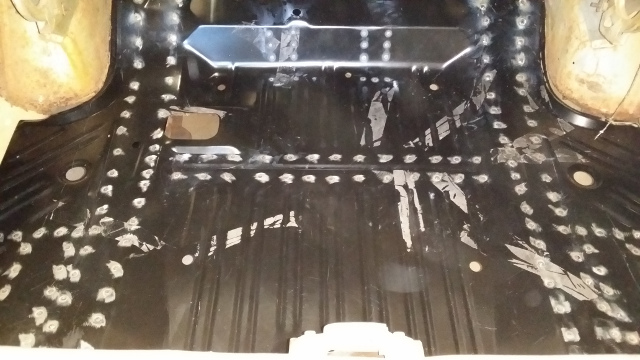 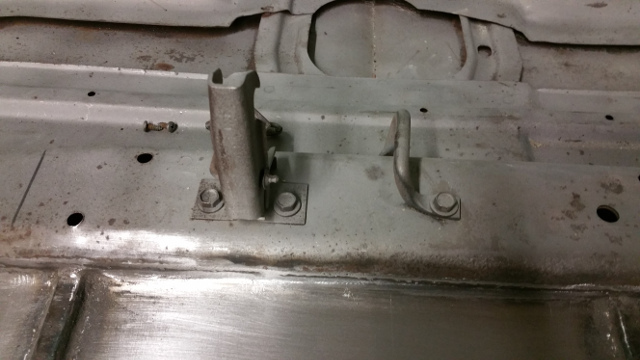 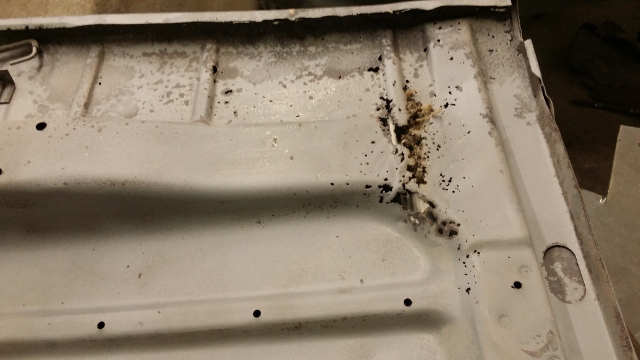 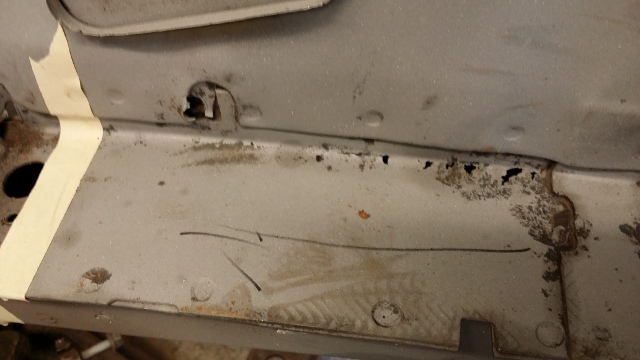 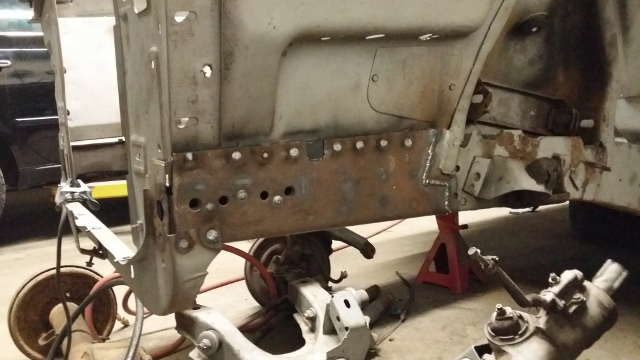 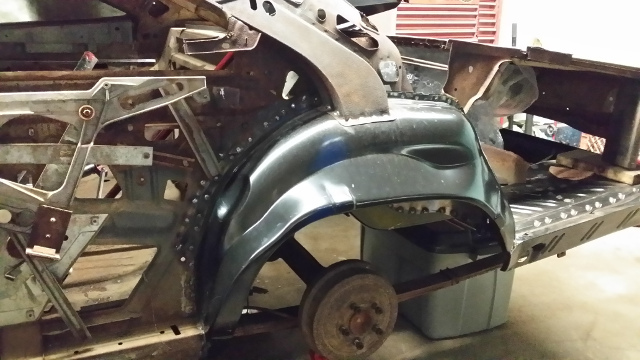 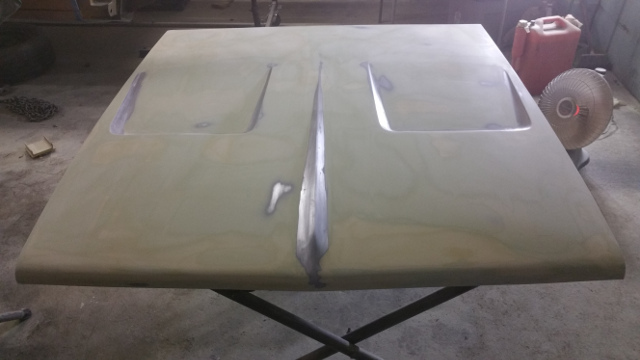 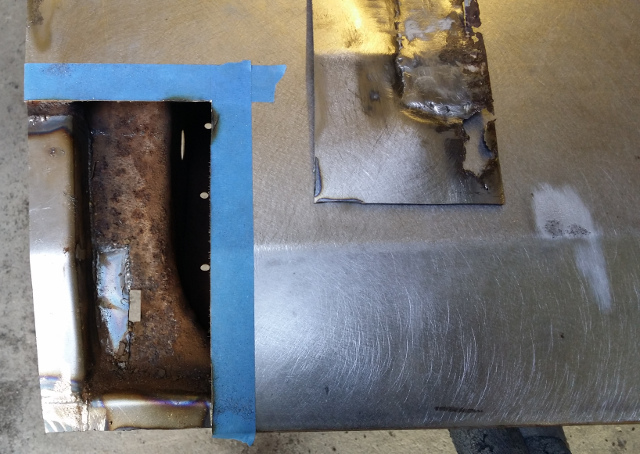 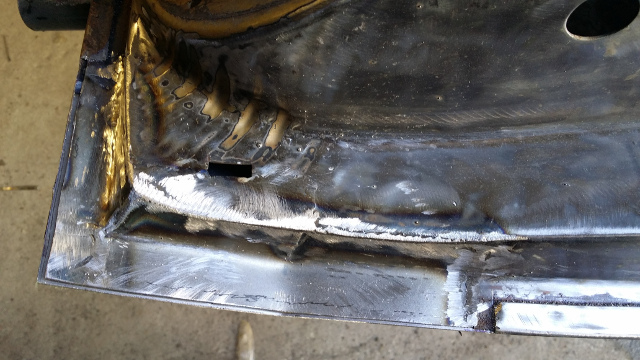 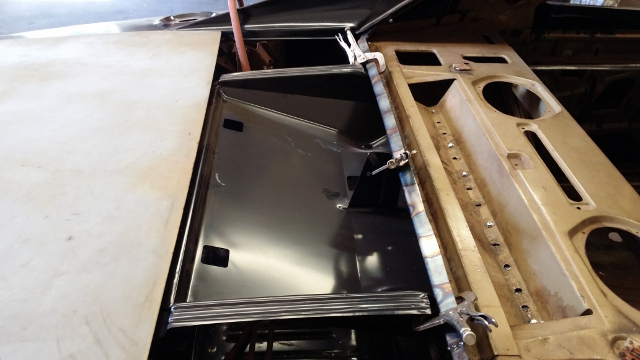 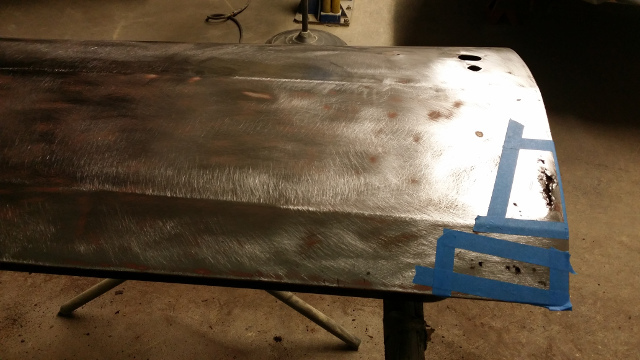 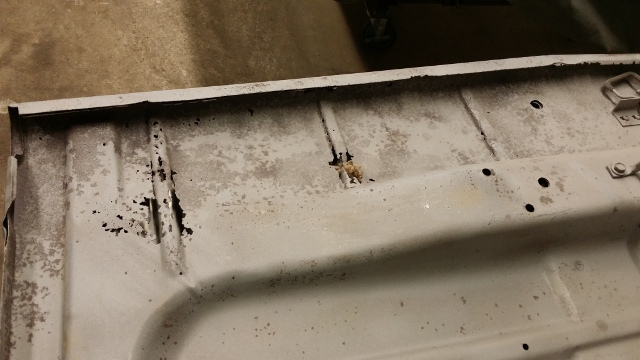 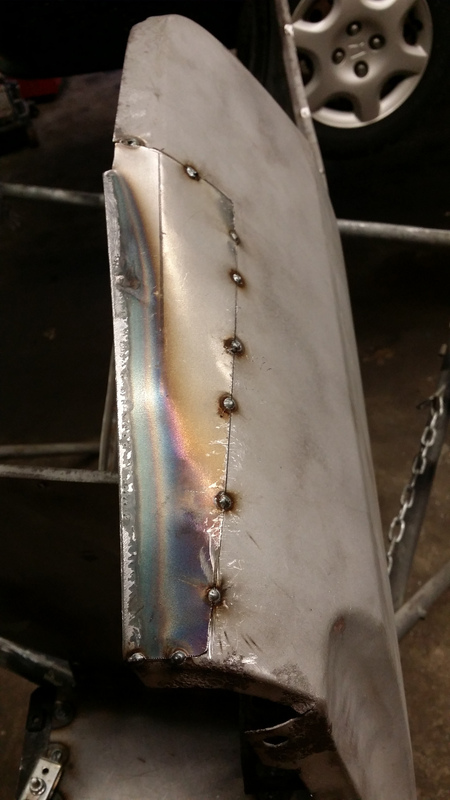 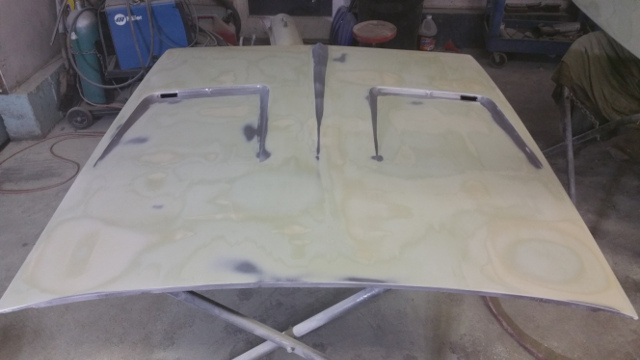 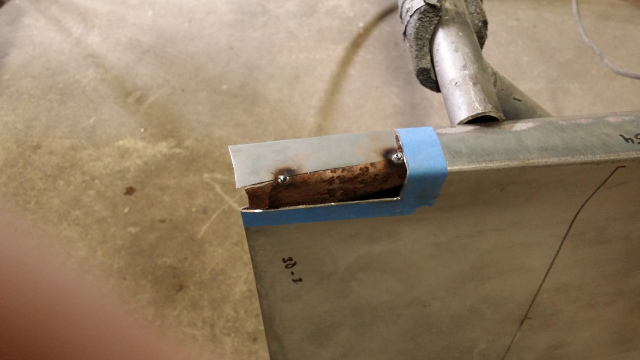 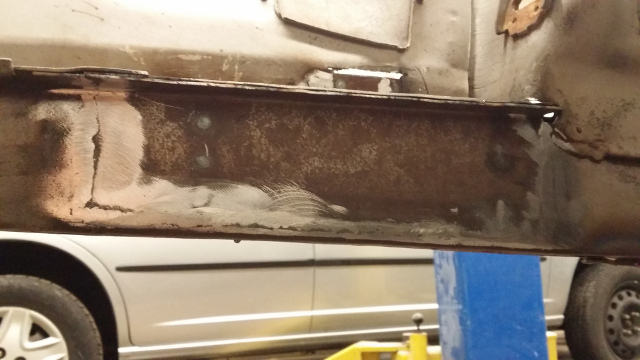 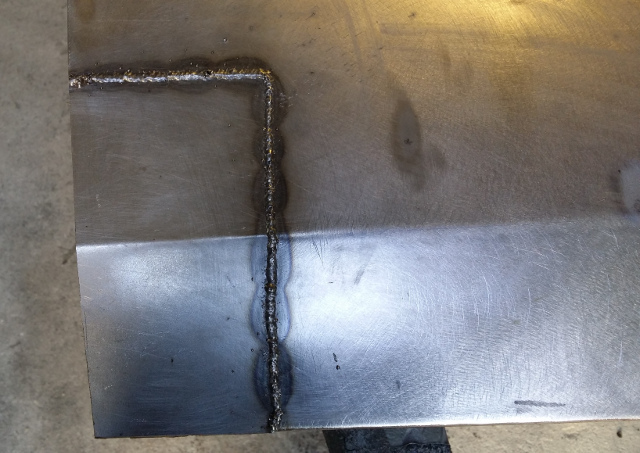 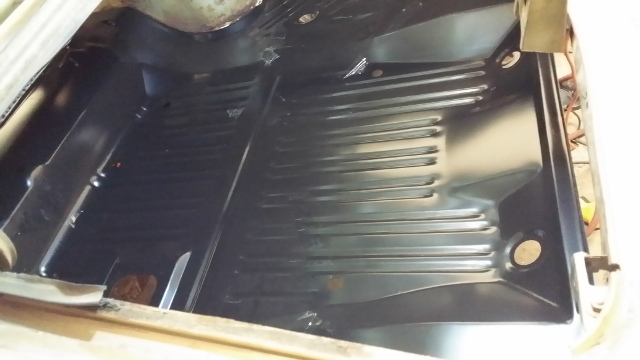 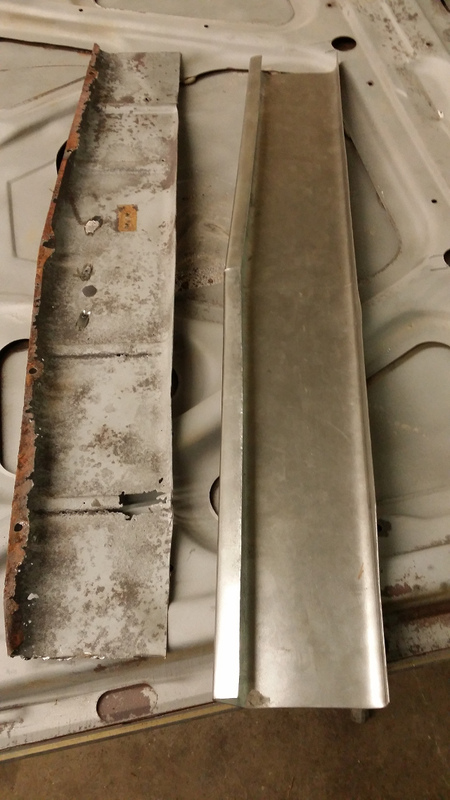 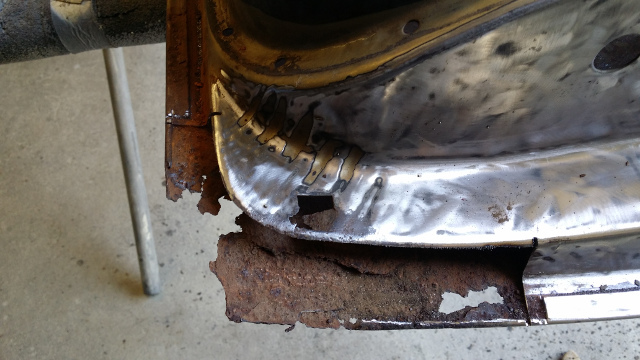 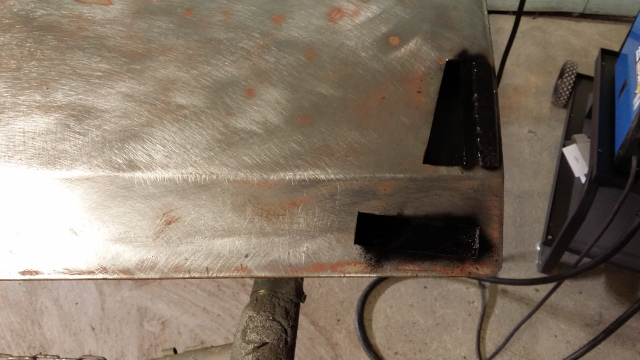 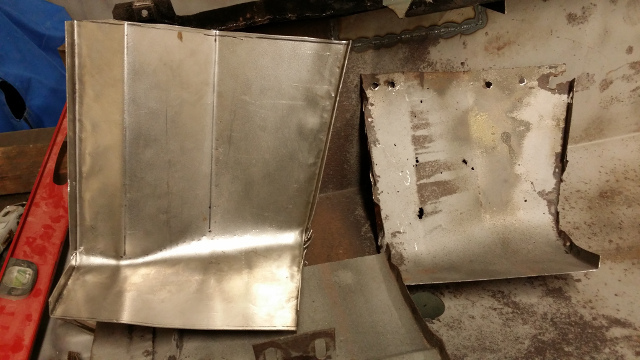 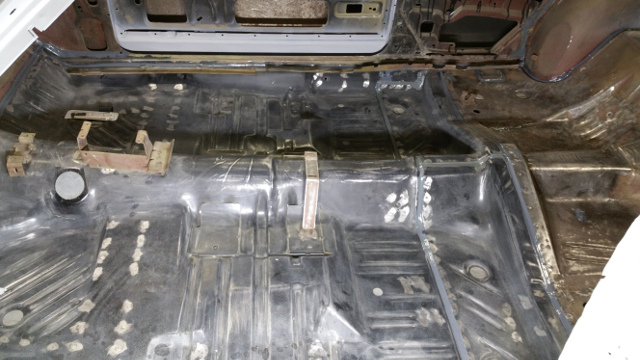 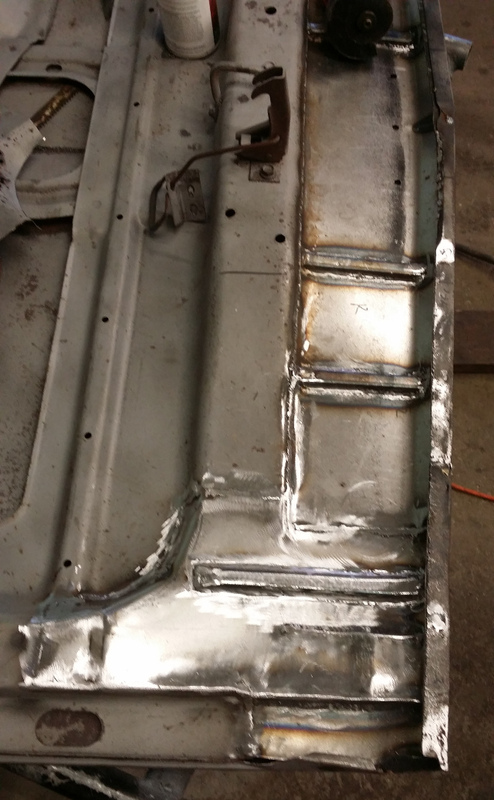 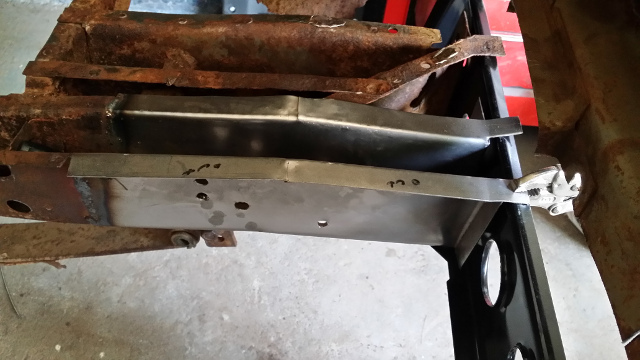 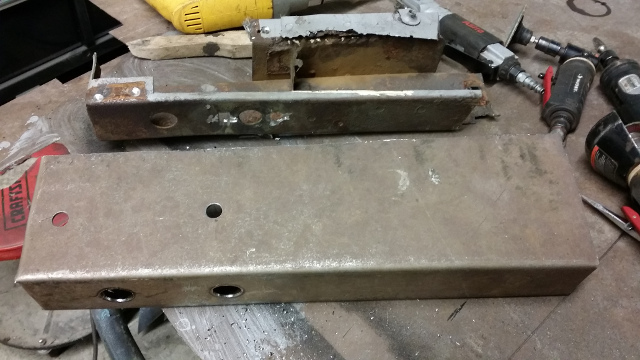 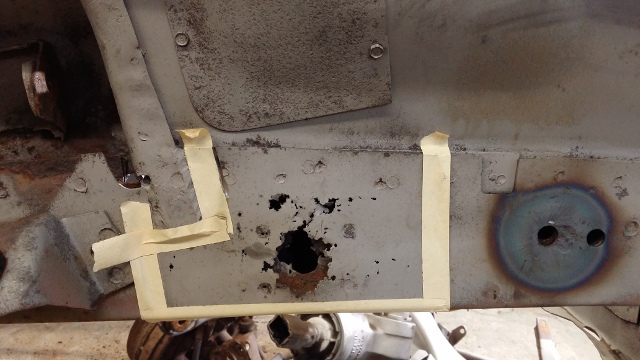 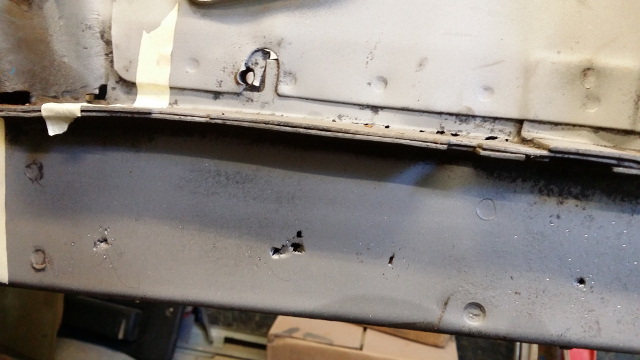 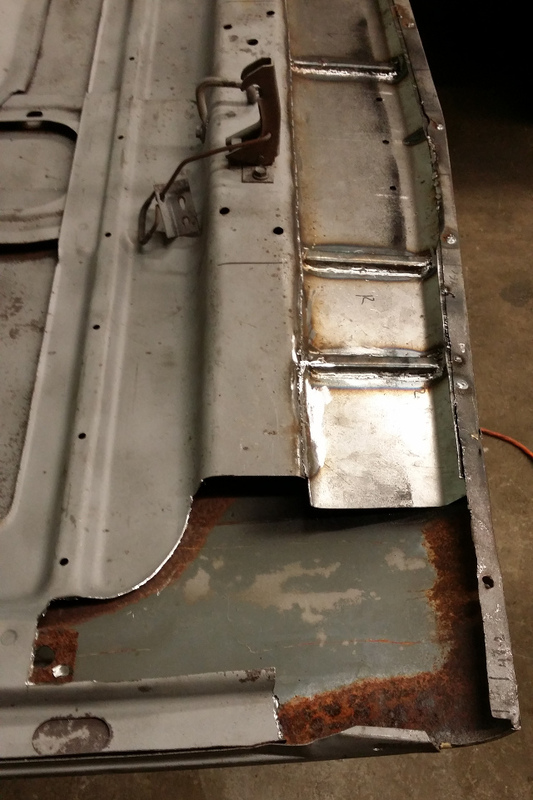 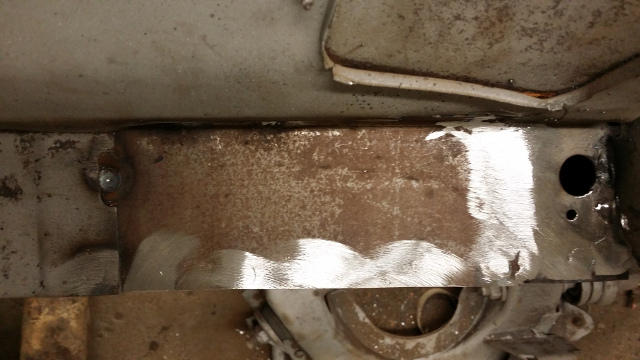 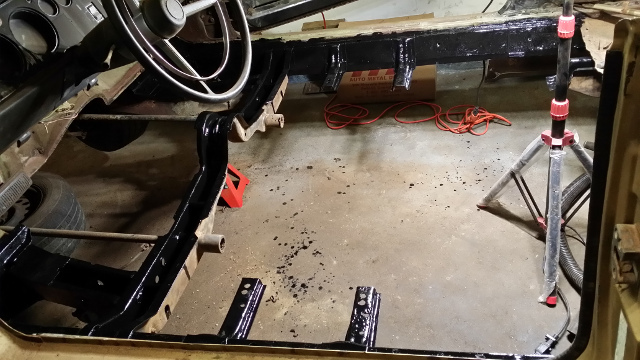 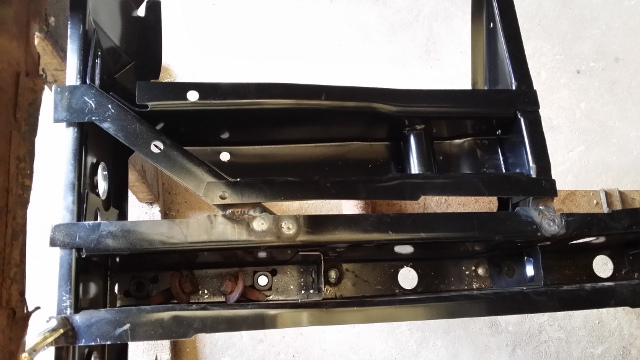 This involved a through damage assessment, metal restoration by welding in place and replacement or fabrication of all sections that were beyond repair. 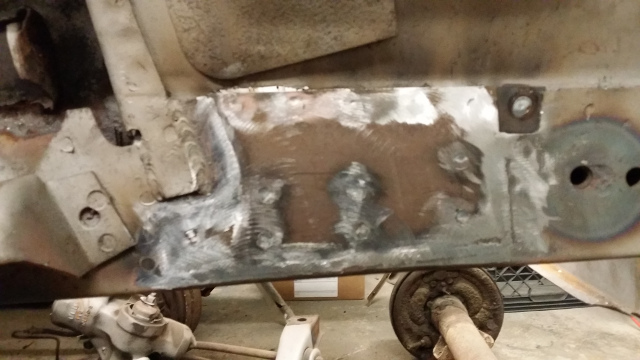 Even the slightest irregularity on the vehicle’s body was addressed. 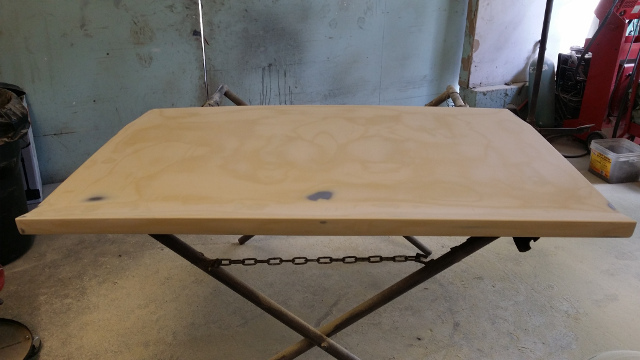 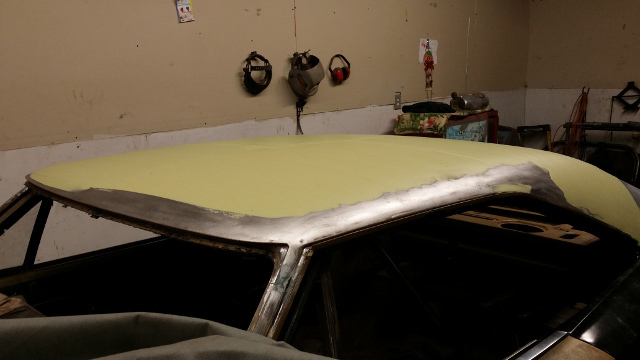 The result was a perfectly smooth body surface ready for priming and painting.